Home prices nationwide, including distressed sales, increased year-over-year by 6.6 percent in May 2017 compared with May 2016 and increased month-over-month by 1.2 percent in May 2017 compared with April 2017. 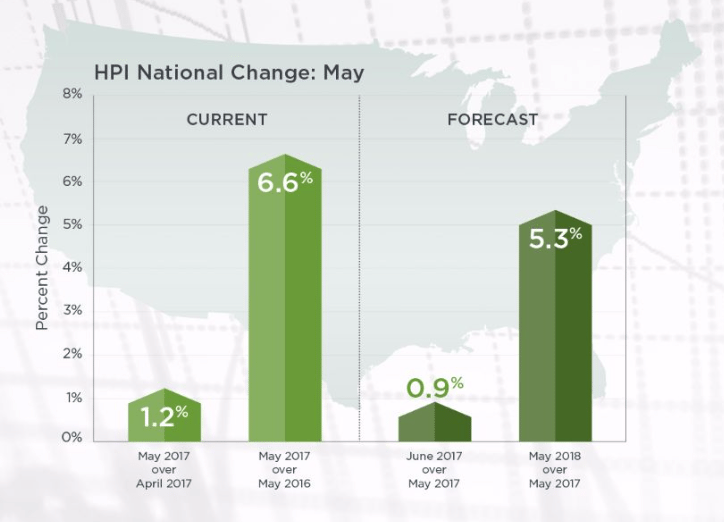 The CoreLogic HPI Forecast indicates that home prices will increase by 5.3 percent on a year-over-year basis from May 2017 to May 2018, and on a month-over-month basis home prices are expected to increase by 0.9 percent from May 2017 to June 2017. Overall single-family rent inflation was 3.1 percent on a year-over-year basis in May 2017 compared with May 2016. Nationally, the year over year home price changed by 6.6 percent. Most states experienced increases, except Alaska, West Virginia and Wyoming. The states with the highest increases were Utah (10.4 percent) and Washington (12.6 percent), both experiencing double digit increases. 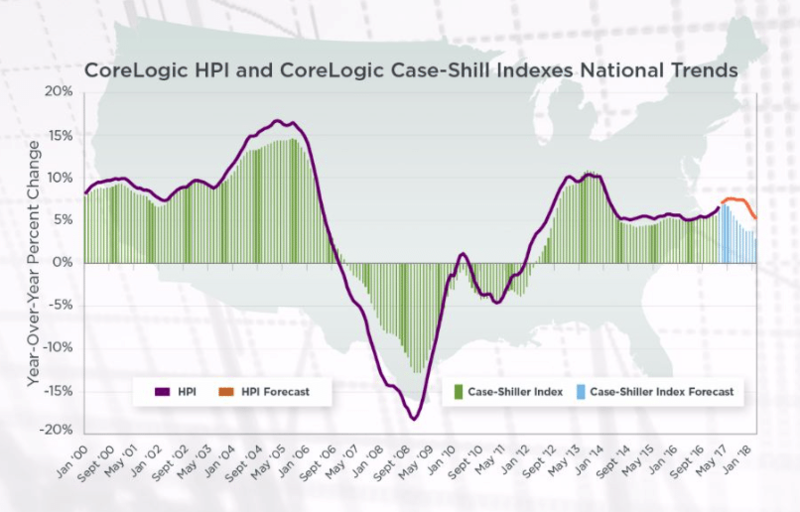 This graph shows a comparison of the national year-over-year percent change for the CoreLogic HPI and CoreLogic Case-Shiller Index from 2000 to present month with forecasts one year into the future. 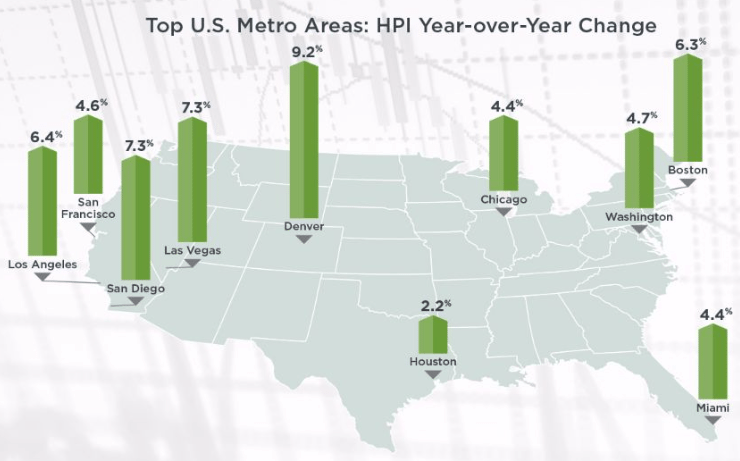 These large cities continue to experience price increases with Denver leading the way at 9.2 percent year over year.